Gail Fuller is something of a pioneer in no-till circles. The Emporia, Kansas, producer began experimenting with reduced tillage in the 1980s, and his operation has been continuous no-till since 1995. It is Fuller’s work on cover crops that is catching the eye of farmers these days. He has experimented with 65 to 70 different crops, often mixing eight to 15 varieties. Fuller manages 1,700 acres and custom-farms another 200 to 300 acres. 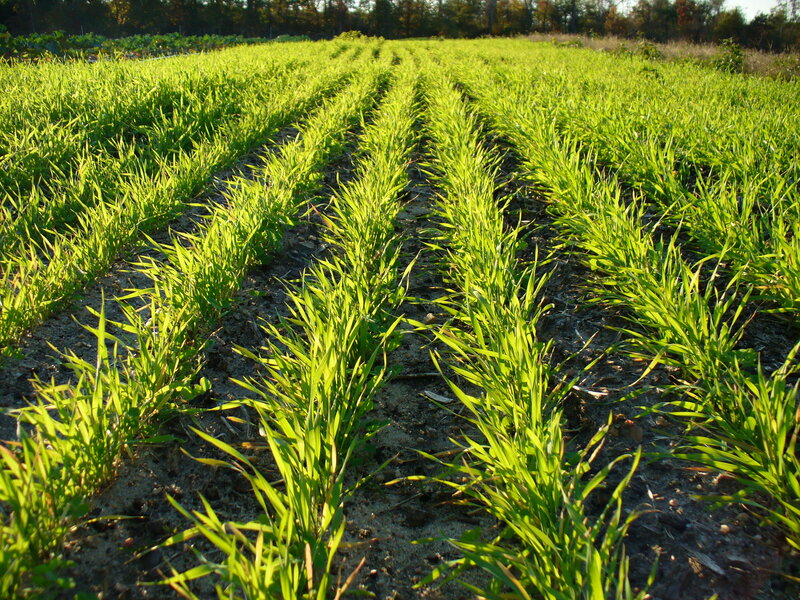 His soils are usually clay loam to silty loam in an area that gets 32 inches of rain a year. 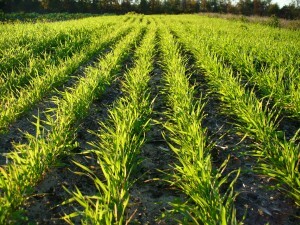 A part of that effort includes growing a variety of crops. Last year, he planted 12 different crops including canola, winter barley, winter triticale, oats/field peas, oats/field peas/safflower/flax, black oats, grain sorghum, sunflowers, and red clover. That’s in addition to corn, soybeans, and wheat. Most of the cover crop seed he harvests is sold to a commercial supplier. Of his cover crop variety, his preference is for radishes employed in many of his mixtures. “I’m planting cash or cover crops 11 months out of each year. With a herd of 60 cows and calves, I pasture many of the cover crops,” Fuller says. It’s cheap feed that’s used to supplement an aggressive pasture-rotation plan. If you inspect his soil samples, you’ll see evidence of many roots and earthworms – even some larger microanthropods are visible. Fuller looks for a cottage cheese consistency in his soil samples. “My soil used to have 1.7% to 2.5% organic matter,” he notes. “Now it’s 3.5% to 6.4%. Fuller says both cash and cover crop residues are very important for infiltrating water, controlling evaporation, feeding microbes and worms, and keeping the soil cooler. “I get calls from people around the country who are obtaining better results with no-till using cover crops,” he says. Typically, Fuller’s wheat yields 50 bushels, grain sorghum yields 90 to 100 bushels, and soybeans yield 30 to 40 bushels per acre. Slammed by drought in 2012, Fuller witnessed his soybean yield drop to 20 bushels. The grain sorghum brought in 50 bushels per acre, while his corn crop was a failure. Previous: Will The Corn and Soybean Crops Get Finished?